Experience shows, very often, a gap between a well constructed organization and the day-today activities. Key element of the Lean process : you have to go and see what happens in the reality of the operational services [Go to Gemba] ! Lean Healthcare software, built on a more than 10 years experience, helps you to organize and objectivize this high value exercise of meeting your teams. To be concrete, this process will lead to identification and objective measure of all activities performed in the hospital in order to, in fine, provide quality care to patients. Analysis of data coming from the teams will highlight “waste” [see waste identified in Lean] linked to redundant activities (dispersion). It will point out missing or under represented activities, and bring explanation elements about bottlenecks or delays. Example of Lean Healthcare Software: Is the “Internal Transport” activity time consuming or not in your hospital? What about the size of the “Internal Transport” team ? How long does it takes for a nurse to bring blood to the Labo ? How much time does a secretary need get medical records ? The measurement of Internal Transport Activity considers not only dedicated time of the Internal Transport team … but also time of nurses, secretaries, …, who also spend some time on this activity. A major added value of this methodology is to cross the theoretical view of organization chart with what people really do. The “Gemba walk” goes further than activities measurements. Meetings with team leaders are key elements in the quality of analysis. They give their point of view on contribution of their teams to final target of the hospital. They comment interactions with internal clients and suppliers and they appreciate the global efficiency of the organization. All the employees are invited to contribute and give their comments! This input, usually very rich and concrete, is of course cross-checked with measures. For Healthcare Units, Lean Healthcare Software allows you to compare different services, highlight impacts between different organizations. It also allows you to valuate improvement potentials and encourage you to share good practices. Experience tells us that implication of all the workforces in this exercise is a great first step for change projects ! 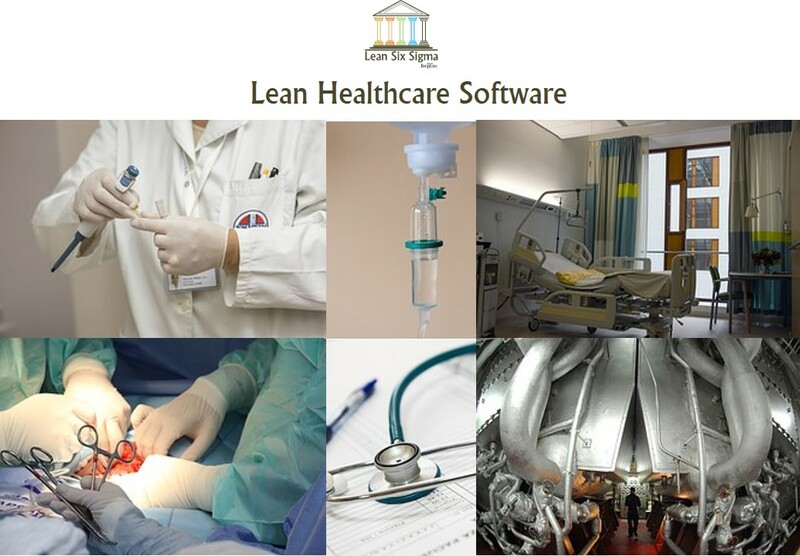 Why is Lean Healthcare Software efficient? Analysis based on 190 standardized activities, much more accurate than a “standardized organization chart”. Identification and valuation of workforce dispersions, when crossing your own organization chart with the Standardized Activities. An internal benchmark allowing to measure impacts between different organizations in Healthcare Units (medicines distribution, “Kanban”, …). Lean Healthcare Software centralizes strategic data of your hospital. 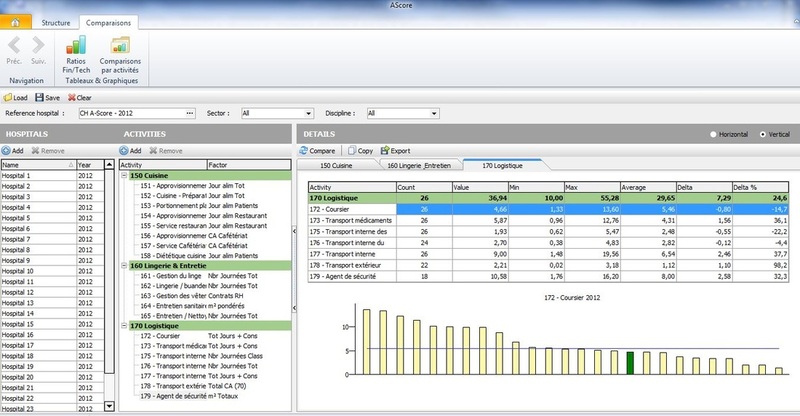 It helps you analyze, through dashboards and clear charts. You will get an overview of the activity evolution of your hospital and of Resources & Effort used (Workforce, Raw materials, Energies, …) to face the workload generated by the activity. Target: check if the amount of resources match with the workload. Are you looking for more info or a demo? Feel free to contact us.